The Loveland Rural Fire Protection District is a Colorado special district. The Rural District is governed by a Board of five elected Directors. Elections for Directors occur in May of even numbered years. The Rural District maintains an administrative office at 1423 West 29th Street, Loveland. The Rural District and the City of Loveland formed the Loveland Fire Rescue Authority effective January 1, 2012. All fire and emergency services, plan reviews, building permits, fire-protection system permits, ISO, protection class, fire station location, hydrant location, etc. in the Rural District is the responsibility of the Fire Authority. The Rural District does not have any employees or volunteers. Please Note: The Loveland Fire Rescue Authority now encompasses Loveland Rural Fire Protection District. If you have a question regarding a planning and zoning reviews, building permit, fire-protection system permit, ISO rating, development and construction project reviews, fire station location, hydrant location, etc. in the Rural District Area, you will find the answers at LFRA.org. The Rural District no longer handles these items independently. The Loveland Rural Fire Protection District was formed in 1950. The Rural District surrounds the City of Loveland and covers approximately 194 square miles consisting of rural, foothill and mountain properties as well as urban commercial and residential properties. The boundaries of the Rural District are generally Larimer County Road 32 to the north, Drake area to the west, Southeast 48th Street to the south, and Larimer/Weld County line to the east. Since 1950, the Rural District has relied upon its contractual relationship with the City of Loveland through the Loveland Fire & Rescue Department (through 2011), and the volunteers of the Big Thompson Canyon Volunteer Fire Department to provide for fire and emergency services within the Rural District. Effective January 1, 2012, the City of Loveland and the Loveland Rural Fire Protection District entered into an Intergovernmental Agreement (IGA) establishing the Loveland Fire Rescue Authority. The Loveland Fire Rescue Authority is governed by a board of directors of five individuals, two Loveland City Council members, the Loveland City Manager, and two Rural District Board members. 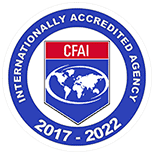 The Fire Authority is responsible for all fire and emergency services within the boundaries of the Loveland Rural Fire Protection District and the City of Loveland. 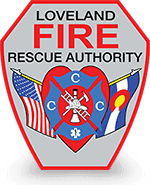 Effective January 1, 2016, the City of Loveland transferred the Loveland Fire & Rescue Department personnel to the Fire Authority. Effective January 1, 2017, the City and the Rural District leased its fire stations, and transferred its apparatus and equipment to the Fire Authority. Emergency operations of the Fire Authority within the Rural District remain similar to those operations of the Loveland Fire & Rescue Department prior to January 1, 2012. Funding for the Fire Authority comes from both the City of Loveland and the Rural District, with the City being responsible for 82% of annual expenses, and the Rural District responsible for 18% of annual expenses. Pursuant to the IGA, the Rural District remains responsible for the funding of the Big Thompson Canyon Volunteer Fire Department including pension obligations. In 2005, Station 8 was constructed by the Rural District to provide an operational base for the Big Thompson Canyon Volunteer Fire Department. The Rural District also maintains one additional unmanned fire station in the Cedar Park area of the Big Thompson Canyon.